How Does Anti Dandruff Shampoo Work? Home » Beauty Care » How Does Anti Dandruff Shampoo Work? 3. How Does Anti Dandruff Shampoo Work? 4. Is Removing Dandruff Using Shampoo More Efficient Than Other Methods? 5. Does Anti Dandruff Shampoo Cause Side Effects? Dandruff is the type of condition that commonly occurs amongst adults and even children. Aside from causing inconveniences and embarrassment, dandruff can signal serious medical conditions when coupled with symptoms like inflammation or infection. For that reason, anti-dandruff shampoos have been a common sight in households since their invention, but only a few users can clearly answer “how does anti dandruff shampoo work?”. If you’re the one who is clueless about this question, don’t worry! We’re here to help you just that. Correct diagnosis is the key to successful treatment, so not all types of dandruff can be well treated with the same shampoo. In fact, the manufacturer always produces different anti-dandruff products to treat different types of dandruff. Sometimes, the gender is also taken into account, and that’s why we have BEST DANDRUFF SHAMPOO FOR MEN as separated from women. Malassezia yeasts are fungi naturally found on the human skin and scalp . These yeasts usually exist in the form of harmless cells, but they can reproduce excessively, making the scalp itchy and developing dandruff in some circumstances. The explanation comes from the imbalanced level of pH in the scalp, causing excess oil production on the hair and scalp. Without frequent cleansing, dandruff gradually forms. Shampoo containing natural ingredients can alleviate fungal dandruff. But it is advisable not to use a sulfate shampoo. Seborrheic dermatitis is a recurring and chronic skin condition that creates flaking . This condition can be identified by the dry white or oily scales. Seborrheic dermatitis affects a lot of parts of the body, amongst them, the most severely affected area is the one associated with high accumulations of sebaceous glands. That means the scalp and the face are frequent victims. Dandruff is just a mild version of seborrheic dermatitis. But seborrheic dermatitis is the leading culprit why some people HAVE TOO MUCH DANDRUFF. As it gets worse, it might not just trigger dandruff, but can cause the scalp to be swollen, red and irritated. This is a common skin disease that creates swollen reddish, scaly patches on the scalp . It is a debilitating condition that can severely affect the whole scalp and extend to the forehead, back of the neck and even inside the ears. Experts are not sure about what causes scalp psoriasis, but they think it is because of the excessive production of skin cells that makes the skin shed too fast. Dandruff caused by scalp psoriasis takes the form of thick silvery flakes. This is a serious condition that needs expert diagnosis and recommendations for treatment. Simply using shampoo may not alleviate the symptoms. Last but not least, some people confuse dandruff with dry scalp, which is another skin condition whose symptoms are similar to dandruff but require different treatments. Again, correct diagnosis is important because if you have dry scalp, BEST SHAMPOO FOR DRY SCALP works better than shampoo for dandruff. This element is critical in preventing Malassezia globosa – a microbe that plays a major role in causing dandruff. Also, it can get rid of uncomfortable scalp irritants and treat symptoms like flakes or inflammations. A study has proven that people using shampoo containing ZPT are much more likely to treat dandruff . Not all ZPT shampoos are effective, though. 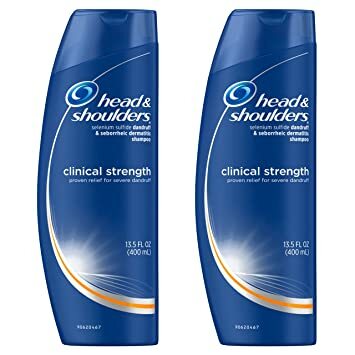 So, you should choose your best product carefully from well-established brands, such as THIS ONE FROM HEAD AND SHOULDERS – one of the best ZPT anti-dandruff shampoos on the market. Selenium sulfide is an important ingredient used in skin remedies. It deals with dandruff, especially seborrheic dermatitis dandruff and fungal skin infections. When you see selenium sulfide in your shampoo formula, it means that the shampoo is intended to treat quite serious dandruff cases. 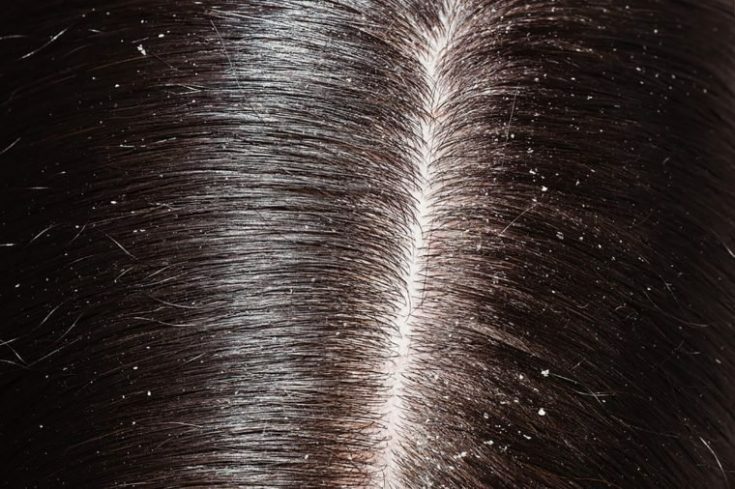 Another major anti-dandruff ingredient is zinc carbonate. 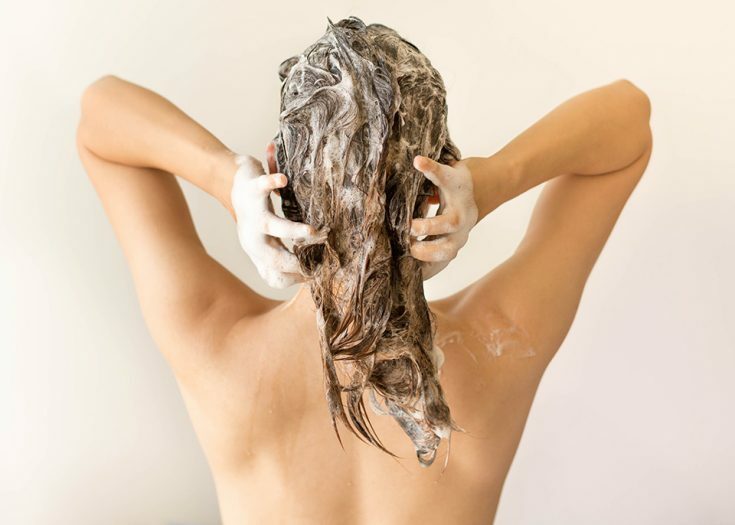 It is most commonly found in foods, but some shampoo brands own the exclusive recipe for featuring this ingredient in their anti-dandruff products. It works with ZPT to enhance anti-dandruff effects by moisturizing the scalp. This way, it prevents the scalp from dryness and keeps ZPT in the most effective form. Commonly known as a skin treatment ingredient, salicylic acid moisturizes the skin and breaks off the substance responsible for clumping skin cells together. This way, it helps the skin shed dead cells more quickly, softens the skin’s top layer, and alleviates dryness as well as scaling. Patients with psoriasis and other dry skin or scalp conditions are often administered salicylic acid. It is also advisable to use shampoo containing salicylic acid to treat dandruff caused by seborrheic dermatitis. Being one of a few clinically-proven ingredients that can control dandruff effectively, ketoconazole is widely used in anti-dandruff shampoos. As it is a drug that stops fungi from growing, it is effective in treating fungal dandruff. Anti-dandruff shampoos featuring ketoconazole can alleviate itching, flaking and scaling. Also, ketoconazole prevents the production of ergosterol – the food for fungi and yeast cells to eat and develop. Since moisturizing is important in dealing with dandruff caused by dry scalp, botanical ingredients such as aloe, lavender extracts and chamomile are common in the ingredient list. Their main functions are to further moisturize the scalp and remove dandruff easier. To answer the question “How does anti dandruff shampoo work?”, we cannot miss the following cleansing agents whose job is removing any oil and dirt stuck in the hair so that the water can rinse them away. This is a common ingredient featured in many hygiene products such as soaps, toothpaste, detergents, shampoos, etc. Sodium lauryl sulfate is a detergent and surfactant which breaks up surface tension and divides molecules to make a product more effective when it contacts with the skin or hair. SLS enables anti-dandruff shampoos to be effective in cleaning dirt and oil, too . This is another form of SLS. It is cheap and commonly used in personal care products. The main function of SLES is to create foam every time we use shampoos so that you can enjoy a refreshing deep clean every time you wash your hair. For that reason, it is often used together with SLS to enhance cleaning effectiveness. These ingredients contribute a large part to how does anti dandruff shampoo work. They help the shampoo move smoothly across the scalp and infiltrate the hair strands evenly. Your shampoo feels creamy thanks to lathering ingredients. This ingredient is widely used in shampoos for many functions, ranging from emulsifying, cleaning to boosting foam. It not only makes shampoo creamier but also eliminates dirt, oil and any buildups deep in the hair. Besides, cocamidopropyl betaine can be used in a blend with many other substances. A note is that it causes less irritation than SLS, but can add to the dry hair problem if not used in right quantities. Cocamide MEA is extracted from the fatty acids found in coconut oil. It is widely used in hair care products to produce and stabilize foam. Another function is to thicken the amount of water in shampoo, making it easier to spread across the scalp. It is important to consider these agents in answering the question “how does anti dandruff shampoo work?”. They help to prevent dry scalp and give your hair a good look as well as making it more manageable. Dimethicone is used in shampoo mainly because it increases hair smoothness and detangles very well. Many people have seen their hair get so much shinier thanks to dimethicone because the substance creates a thin cover layer on the hair strands. The ingredient works by releasing microscopic droplets onto hair fiber during a wash. As the hair dries, the droplets shield hair cuticle from adverse effects, maintaining the soft and shiny qualities. This is derived from natural guar gum – a thickening agent obtained from guar beans. Guar hydroxypropyltrimonium chloride dissolves in water. It is commonly used in anti-dandruff shampoo as an agent that increases the thickness and stickiness of the water . Polyquaternium-10 is a white powder made up of little granules and has a distinct smell. 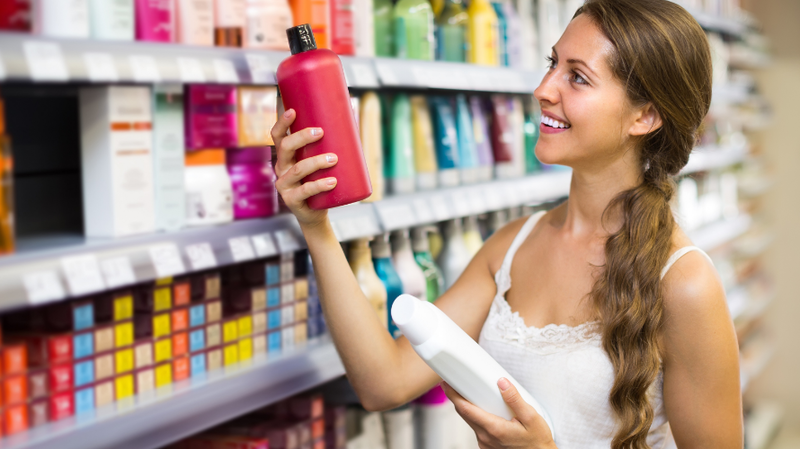 This ingredient is often found in hair care products, makeup substances, and lotions. It is best used to polish the appearance of hair, making hair look shinier and healthier. It also gives soft hair ability to bend easily without cracking. As a result, the overall texture of hair is improved by Polyquaternium-10. Guar hydroxypropyltrimonium chloride and Polyquaternium-10 are usually paired together to soften hair, as well as to protect them from physical and chemical damage. Thanks to these two, your hair does not get tangled up much when it is wet and is also more manageable. Also known as glycerol or glycerine, glycerin has no color or scent. This ingredient exists in the form of thick liquid. It can be found naturally in animal fats as well as plant oils such as coconut oil or shea butter. And it is commonly used in foods and cosmetic products. There are 2 kinds of glycerin: natural and synthetic. Natural glycerin is preferred because it does not have as many harmful side effects as synthetic glycerin. Such glycerin is best known for keeping hair moisture. That’s why it is often used by hair stylists to create desirable hair curls. These four moisturizers and conditioners above are not only found in anti-dandruff shampoo but also in other kinds of shampoo as the core ingredients for making hair look and feel better. If you’re looking for a shampoo that makes your hair shiny and silky, this OGX SILICONE-FREE FRIZZ-DEFY MOISTURE + SHEA SOFT AND SMOOTH SHAMPOO could be a great choice. Another key group of elements in defining how does anti dandruff shampoo work is the stabilizers. Their job is to make sure all of the ingredients in the shampoo work perfectly together. This ingredient has white or cream color and exists in the form of waxy solid. It has various functions, including skin conditioning, liquid thickening, and stabilizing ingredients. In many shampoos, glycol distearate helps to keep all of the other ingredients well blended for the most effective use. Besides glycol distearate, shampoos may feature magnesium carbonate hydroxide as the supporting stabilizer. Its job is to balance pH and stabilize the zinc carbonate. Don’t let the prejudice against preservatives put you off at this point. To know how does anti dandruff shampoo work, we should not leave out preserving ingredients that are crucial to prevent microbial contamination. This is a natural preservative and considered milder in negative effects than traditional preservatives such as parabens, iodopropynyl butylcarbamate, etc. . It does not cause as much irritation and allergic reaction as other unnatural preservatives. In some anti-dandruff shampoos, Sodium benzoate is used at the manufacturing stage to protect raw ingredients from contamination. These preservatives are often used after the manufacturing process has ended. They help a shampoo stay longer on the supermarket shelf and protect from contamination while you are using your shampoo. Each shampoo has different pH levels, but the best range is below 5.0. It has been proven that shampoos low in pH prevent hair damage rather than cause it . Sodium hydroxide and hydrochloric acid are common pH regulators. These ingredients turn into salt and water as soon as they are added to your shampoo. Sodium chloride, also known as table salt, increases the thickness of a shampoo. By contrast, sodium xylene sulfonate decreases the thickness of shampoo. Both of these ingredients are used in a perfect mixture to achieve the best texture. Is Removing Dandruff Using Shampoo More Efficient Than Other Methods? The experts suggest a number of methods to get rid of dandruff. For example, gently massaging the scalp with fingers or a soft brush. Other ways are following a correct diet (great way to GET RID OF DANDRUFF WITHOUT WASHING HAIR), skin moisturizing (for dry skin), cortisone cream (in case of inflamed scalp), and even topical antifungal medication in rare cases. The most common way, however, is to use anti-dandruff shampoo. In addition to washing the hair clean, they help with the scalp’s pH balance (though temporarily). Furthermore, these shampoos are made with special formula containing active anti-dandruff ingredients, various hair-supported agents and even vitamins that help you deal with dandruff. For specific names, we already showed you above. So, if you ask me “Is removing dandruff using shampoo more efficient than other methods”, the answer is a big, fat YES! Does Anti Dandruff Shampoo Cause Side Effects? Allergies: Except some minor side effects, many ingredients are safe to use. However, some people are allergic to one or several of them. This results in symptoms like itchy skin, irritated skin, dry skin, or nausea in some rare cases. Eyesores: Like hair- or skin-care products, anti-dandruff shampoo should not be allowed to get into your eyes because it can cause real pains, especially for kids (check out IS HEAD AND SHOULDERS SAFE FOR KIDS for more detail). Cancer: Sound shocking, right! Shampoo can cause this terrible disease, but this happens only when it uses coal tar – an anti-dandruff fighter that has been banned by the government of many countries. So, this is obviously not the ingredient you want to see on your shampoo label, despite its effectiveness in treating dandruff. How does anti dandruff shampoo work depends on the ingredients inside which play various important roles in enhancing different parts of your scalp and hair. Remember to look out for any allergies to ingredients and choose the most suitable product for your dandruff condition. If you find this information helpful, don’t forget to LIKE and SHARE this article! Leave us comments if you have any question, we are pleased to help!